Citrus 101 Floor Degreaser is a concentrated blend of citrus oil extract and surfactants. This all-purpose degreaser helps remove tire marks and other solvent sensitive soils. Citrus 101 is low foaming, and meets USDA performance standards for C-1. 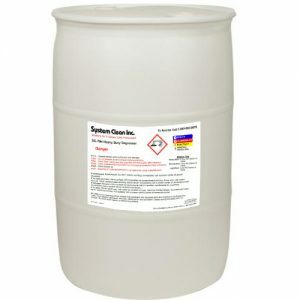 SC- 794 Heavy Duty Degreaser for Industrial Scrubbers is a low foaming unique cleaner that penetrates and disperses soils allowing them to be flushed by water. 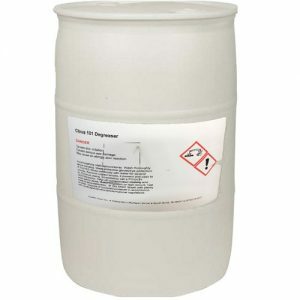 High-alkaline detergent, non-butyl, designed for auto scrubbers. Grease and grime EMULSIFY on contact. Its quick action leaves a residue free surface.